It's time to ramp up STEM in early childhood education, according to the Community for Advancing Discovery Research in Education (CADRE). CADRE is a network for STEM education researchers funded by the National Science Foundation's Discovery Research preK-12 program. 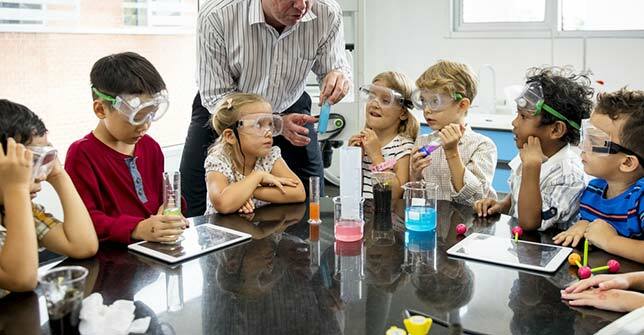 A new science brief has suggested that quality STEM experiences in pre-K through grade 3 can offer a "critical foundation for learning about these disciplines in ways that facilitate later learning." Young children, according to the report, can engage in math reasoning and even explain their math thinking; make sense of concepts such as length, area and volume; explore scientific ideas, such as cause and effect; and begin learning and communicating about engineering concepts, such as form and function. It covers subjects that can engage students with varying backgrounds, including English learners. Listening to the kids and watching them as they "explore, play, talk to one another and engage in STEM activities" to get a sense of what they understand about STEM concepts. The teachers themselves also need support as they learn how to teach STEM. Professional development needs to cover how teachers can make connections between STEM topics and the everyday activities of the students, both in school and out of school, among other areas of training. And they need to be able to dedicate time to engage in STEM learning and have access to learning materials that let the children read, write and speak about STEM. The four-page brief is openly on the CADRE website.